Flybridge Up To 60ft category. 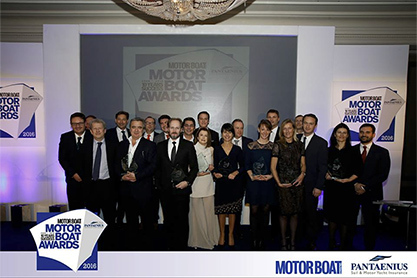 The ceremony took place at the Rosewood London Hotel and was organized by the British Motorboat & Yachting magazine. During the show, the Judge's Special Award went to Carla Demaria for her remarkable achievements and her work with both Monte Carlo Yachts and UCINA.